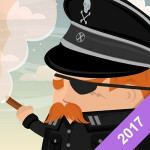 Hard Time (Prison Sim) is a free adventure game for the Android. Prison is known as a place of hard knocks and survival. Bring in the survival in Hard Time (Prison Sim). Which lets create your own inmate and attempt to survive in a prison where every sentence is a “death” sentence. Hard Time (Prison Sim) is an open world game for your device where you attempt to survive the prison grounds. 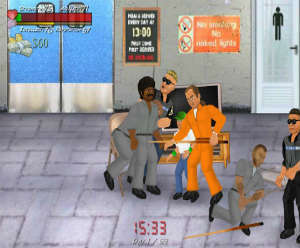 This game features 12 areas, more than 100 prisoners, interactive environment and many more. Each day, you will find your health and mental state slipping away. Both can be restored by sleeping – which is also a good way to pass time. You won’t always be permitted to sleep, though, so consuming food and drink bridges the gap. These, along with many other activities such as reading or watching TV, can also help to improve your mental state. Download Hard Time (Prison Sim) and start playing for free today!